Bicyclists, pacificists, and reasonable people everywhere are up in arms today about Courtland Milloy’s outrageous column, published last night on Washington Post’s website, in which he suggests drivers should go ahead and intentionally hit cyclists if they feel like it. By somehow casting people on bicycles as “bullies” and “terrorists” — for reasons that never become clear — Milloy sees fit to justify bullying and terrorizing the cyclists themselves. Not only does Milloy cackle about an all-too-real epidemic of violence on our cities’ streets, he reveals a shockingly myopic (to use his word) view of the streets as places where only cars belong. They fight to have bike lanes routed throughout the city, some in front of churches where elderly parishioners used to park their cars. Just one. And in that case, elderly parishioners still park their cars there. Now, some of them are pushing to have a “bicycle escalator” installed on 15th Street NW. Actually no one is doing anything of the sort. One person on GGW wrote a post about how one place has such a thing and asked if it would be useful on 15th, and most of the comments on it were negative about the idea. Actually, bike ninjas are much worse. … If you demand that he show common courtesy and obey the rules of the road, a biker just might spit on your car. But that’s not what a bike ninja is. The word he’s looking for is an A-hole. But try asking a driver to put down their phone and I doubt you’d get a hug or a “Thank you”. We have, of course, grown accustomed to journalists and columnists who resort to bike-versus-car tropes to fill column space. However, this attempt to justify assault as a mere cost of doing business for motorists is well beyond the pale. Those who might take Milloy’s counsel and share his sick calculation that bicyclists’ temporary slowing of motorists is worth attacking those bicyclists should know that his facts are wrong. Intentionally assaulting a bicyclist carries a much stiffer penalty than the $500 he cites. So even his readers who lack the moral judgment to recognize that assaulting a bicyclist with a motor vehicle is a barbaric, criminal act should know that his advice is flawed. Davis isn’t even calling for bike lanes, so great is her entitlement; in speaking with the District Department of Transportation, her requests don’t get much more ambitious than straightening out sidewalks so the street crossings where she’s witnessed several bikers wipe out become less dangerous. But this, of course, is the trademark call of the biker terrorists out to rule the road. Then Weiner slams Milloy for the greatest sin of his column: callous timing. In 2008, a 22-year-old cyclist named Alice Swanson was riding down the bike lane on R Street NW, near Dupont Circle — the epicenter of the bike-lane zone, where pushy bikers have gotten their way and rule the road more than anywhere — when a truck driver turning right hit her and trapped her under the truck, killing her. Perhaps, to the driver, her annoying behavior or the existence of the spacious bike lane was enough to justify risking a $500 fine (though he never even got so much as a ticket for that crash, despite a horrific driving record before then). Yesterday, the day Milloy chose to rant against the elevated status enjoyed by imperious cyclists, marked the sixth anniversary of her death. Perhaps richest of all was the heartfelt comeuppance Milloy received from his own co-worker at the Post, Ashley Halsey III, who issued a plea to call off the whole “war on cars” madness. Halsey starts with a recounting of his own bicycle crash, in which his neck was broken, his shoulder torn to pieces, and his hand fractured. I’ve written in the past about the merits of bicycles. They don’t pollute. They are affordable and help keep their riders in good shape. When you add in how efficiently they can move us from point A to B in comparison to other forms of transit, it’s obvious to me that cities should encourage cycling. When will the Washington Post fire him (and any editor that article went through before being published)? Writing a story that suggests drivers hit cyclists because it’s worth $500 to do it? That should be more than enough grounds for dismissal at any news service. The smackdown Milloy deserves is to have to publish an apology for advocating violence against his fellow citizens. Living in San Francisco, which seems marginally better than most places (DC is one of the worst I’ve experienced) to walk and bike, but still feels like there’s an inherently violent component to streets in general. The bigger the street, the move “violent” it seems both in terms of vehicle-on-vehicle and vehicle against any other form of transit. I think this ahole is saying what a lot of people think, and that it’s that streets are violent and therefore I should be afraid and subservient to whatever mode can do the most harm. This kind of nonsense needs to stop. I moved to San Francisco from DC three months ago and I think SF has a lot to learn. Speeding and red lights are very strictly enforced, leading pedestrian intervals at crosswalks are much more common as are cycletracks and bike lanes, sidewalks are wider, and the bike share program is a celebrated success. I’m loving California and SF, but we need to learn from NYC and DC and step it up. I recently did the opposite move and I would have to agree. Far be for me to say that DC drivers are courteous, but I definitely don’t feel half the anxiety that I had when I use to ride or walk in SF. One cannot restrict free speech, but one can demand that employers fire staff members who advocate violence against any group of persons simply because they belong to a mistreated minority. One can say whatever, but not as the face of the Washington Post, NBC, or any other public company tha values it’s reputation. In this case that maligned minority is bicyclists, and the perpetrator of hate is the columnist. Don Imus lost his tv show for pillorying “nappy headed” female basketball players. Why can’t this guy get kicked to the curb by WaPo? Interesting – maybe it was just the area I was staying at, which was like a ton of Masonic Avenues crisscrossing. What a moron! Intentionally hitting a cyclist will not only result in stiffer criminal penalties as noted above but also a civil suit for the intentional torts of assault and battery. this is why we need more stand your ground laws, for cyclists and pedestrins. Luz Lazo on the lack of ticketing of cyclists. I have never seen a DC cop cite a motorist for speeding. But running a stop sign, yes, I have seen that. But only occasionally. Milloy has always been an idiot but this is pretty low for the Washington Post editors to allow his ridiculous rant on their website. I’m glad I dropped my subscription and have no plans on promoting the article or paper by clicking on links to it. If we stop clicking them, they’ll stop writing them. No, the “smackdown it deserves” would be removal from the Washington Post’s website, along with an apology for allowing it to go to press and firing of at least Milloy, if not the editors above him as well. It’s unbelievable that a major newspaper would publish something advocating assault with a deadly weapon, especially from one of their staff columnists. Finally, someone fights back about the lawlessness of bikers. Bikers obey no laws. Not lights, not signs, not paths, not yields. Macaruthur Blvd. is a good case in point. A bike bath winds the entire way to Glen Echo, but where do the bikers ride? On the single lane south bound lane. So all of the two wheeled hotheads now populating the Post’s pages with venom might do well to take a look in their rearview mirrors and see that what Milloy has a fair number of supporters. What he lacks in tact, he makes up for in truth. The most sure fire way to get cyclists to behave better is to get more cyclists on the road. The time-tested way to get more cyclists on the road is to build safe biking infrastructure that actually goes somewhere. I for one support your cause. Let’s pull together the political will to implement proven ways to improve cyclist behavior (enumerated above). This opinion piece incites drivers to kill innocent people. While I am always in the market for a new phone provider, I will never use your product because through your advertising, you are supporting hate speech. What can one lone voice do? Donno, but it took me like 5 minutes and it sure made me feel better. Actually, when you hit a cyclist with a motor vehicle, nothing happens to you. No $500 fine. No criminal charges. No citations. If you want to murder somebody, just run them over while they ride a bike and you will get away with it. We can talk about what the law says, but it’s better to talk about the statistics of what really happens. Does the Washington Post have a Public Editor type position, like the New York Times? That person should weigh in forcefully. Imagine if a columnist suggested that aggrieved pedestrians should start bashing in cars. Sounds like he is promoting terrorism to me. Homeland Security should arrest him. This resulted in an immediate cancellation of our paper (was 7 day delivery). As someone who’s experienced the harrassment he described (while riding rural roads)- someone else is going to fund this kind of hatred. Unbelievably irresponsible. Milloy’s supporters exceed the speed limit as much as they can (an amount deadly to pedestrians) as often as they can (which is most of the time). You have to stop denying the beam in your own eye if you want to be taken seriously about the mote in another’s. Masonic is a huge problem and fixing it is a priority of advocates. Unfortunately there is much whining from motorists about parking and concerns about having to travel at some sort of speed limit. I’m one of the pacifists mentioned in the first sentence, so the “smackdown” approach doesn’t work for me. Milloy should just have to commute by bike for a month or so. Baloney. Even if you are the sort of callous jerk who thinks that’s okay (and without a doubt you are lying about “many people” bragging about doing so, clearly), by hitting a pedestrian you will get thrown to the asphalt, get scraped to hell, and probably damage your bike. What’s the alleged win, there, exactly? 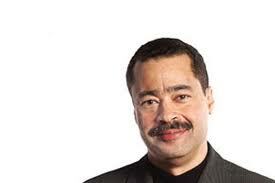 milloy has baited on race for decades, that’s his meal ticket. for him, killing a biker is killing a rich young honky. the bay area would never tolerate a ‘columnist’ like him. or stanford to be particular. WaPo: Happy Bike Month, Scofflaws!